Before coming anywhere near a raging river, we got to see some raging bulls. Well…docile, happy, and well-fed bulls and their lady cow friends. The Plate & Pitchfork part of the experience incorporated a visit to two different cattle ranches. Since steak would be on several of our gourmet menus during the trip, we got the opportunity to learn about where our protein would be coming from. 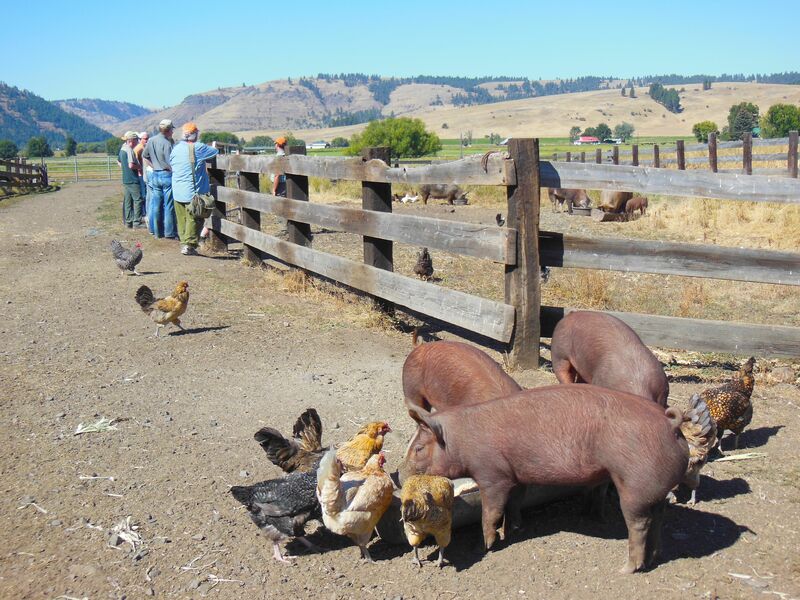 In addition to cattle, you’ll find plenty of happy little chickens, plump pigs and other farm animals roaming the lot. 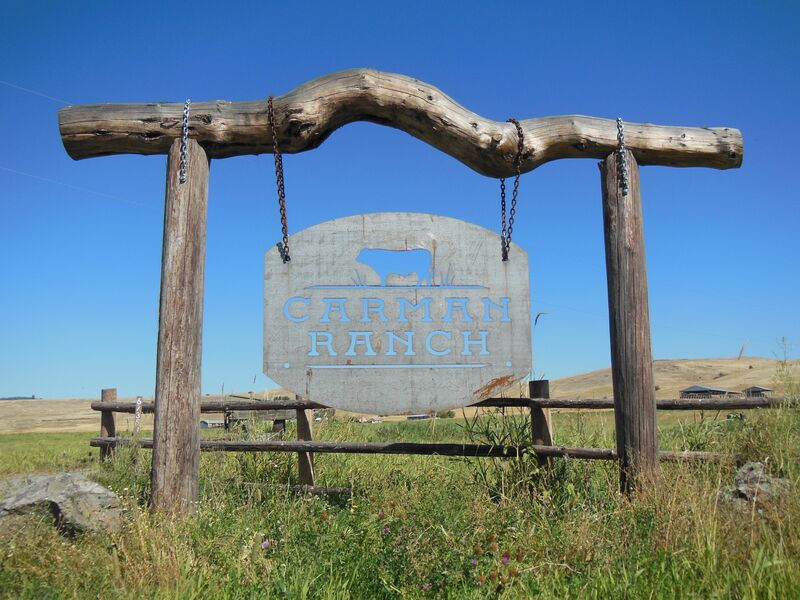 First stop: Carman Ranch. Run by Cory and her husband Dave, this Hereford Cattle ranch has been family-run for four generations and spans about 8,000 acres. Along with raising grass-fed cattle, this young couple, their three little ones, and Cory’s uncle raise pigs, chickens, and ducks, and have two really playful dogs. 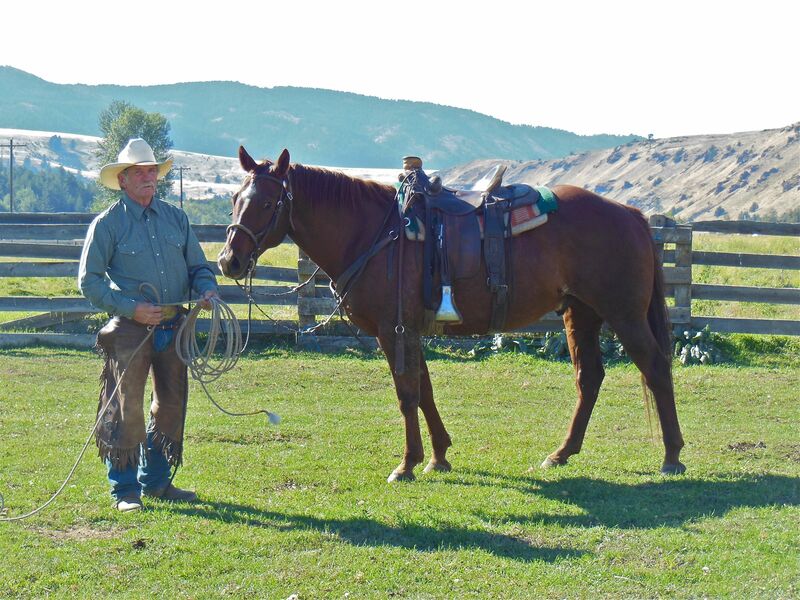 It seems like an ideal pastoral setting for living a rancher’s life, but this way of life requires the right combination of ingenuity and integrity. Driven by a commitment to preserve the natural environment and raise a quality product, CR focuses on organic practices: no pesticides in the grass, no hormones, and no antibiotics for the animals. 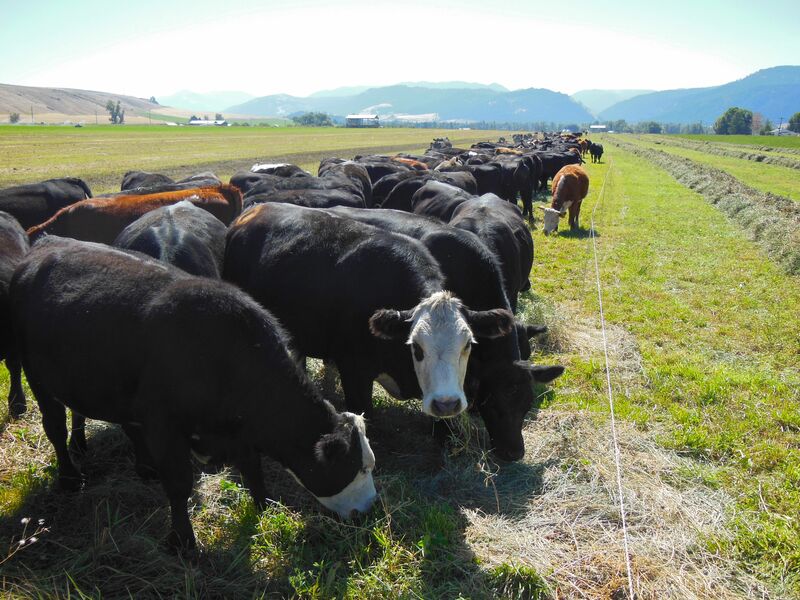 They also use a “pasture-based production system” that prevents erosion and groundwater contamination, encourages native plant growth, and provides a better food source for their cows. And if their cows are eating healthier, you get to eat healthier-for-you beef. A thin electrified rope keeps these cows grazing where they should be. They are also systematic about how the cows graze. Normally, grass-fed cows graze freely, where they want when they want. Here, they’re kept to a certain strip of grass for a period of time (with the help of a thin, electrified rope) until the ranchers want them to move to the next patch. The rope is turned off and dropped, the cows cross over to the next area, and the rope goes back up. This way, the ranchers can manage how much the cows eat and the rate of grass regrowth. The cows are so strangely well behaved. Not only do they know not to touch the electric rope and when it’s OK to move to the next area, they even respond to Dave’s cow calls. Leather explains the preparation and origins of our locally-sourced dishes. For lunch, our chef Leather Storrs (I swear, that is his real name) and his sous-chef Joseph—both of the Portland restaurant Noble Rot—prepared us a splendid meal: gourmet mac ‘n’ cheese, grill-seared beef on a bed of arugula, and smoky onions paired with plump tomatoes. Everything but the mac ‘n’ cheese was from the farm, and I wanted seconds of the whole meal. 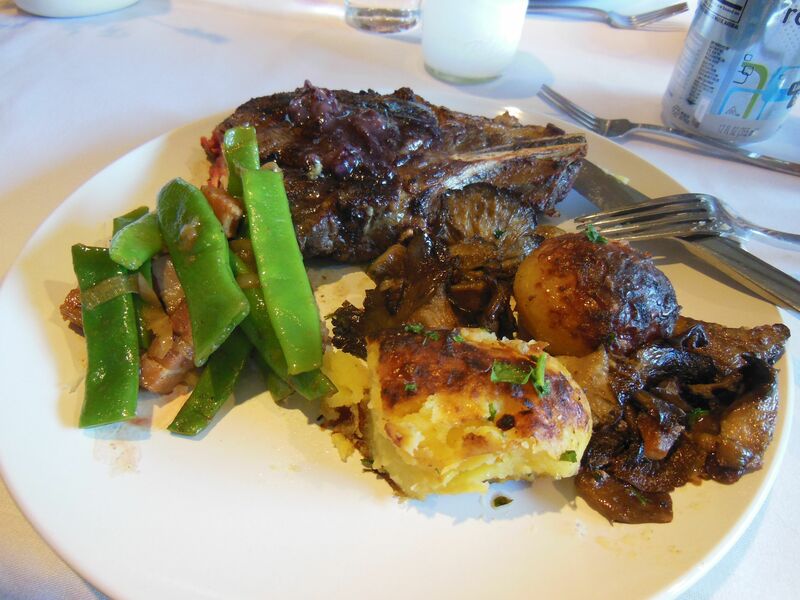 To be truthful, I couldn’t have told you based on taste whether or not the beef we ate was grass-fed or organic or whatever, but I can say that it was scrumptious. 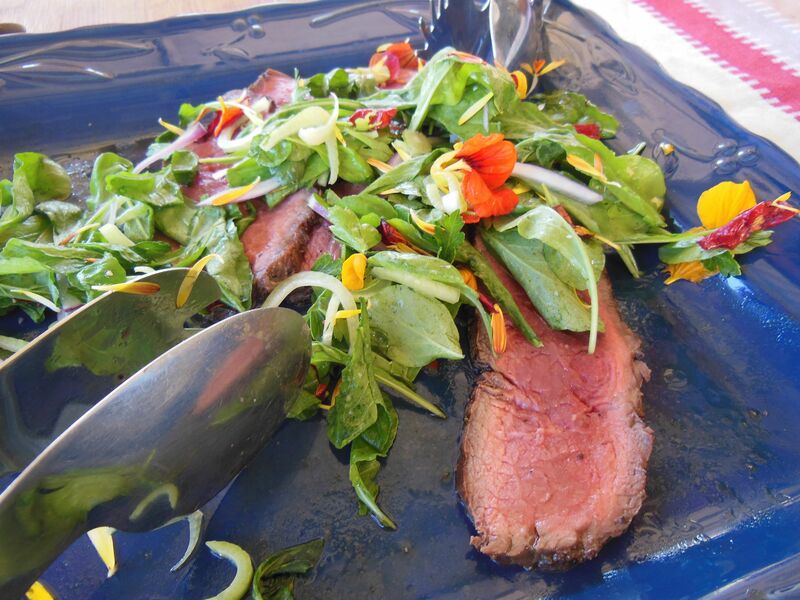 Coming back for seconds of the seared Carman Ranch steak and arugula. 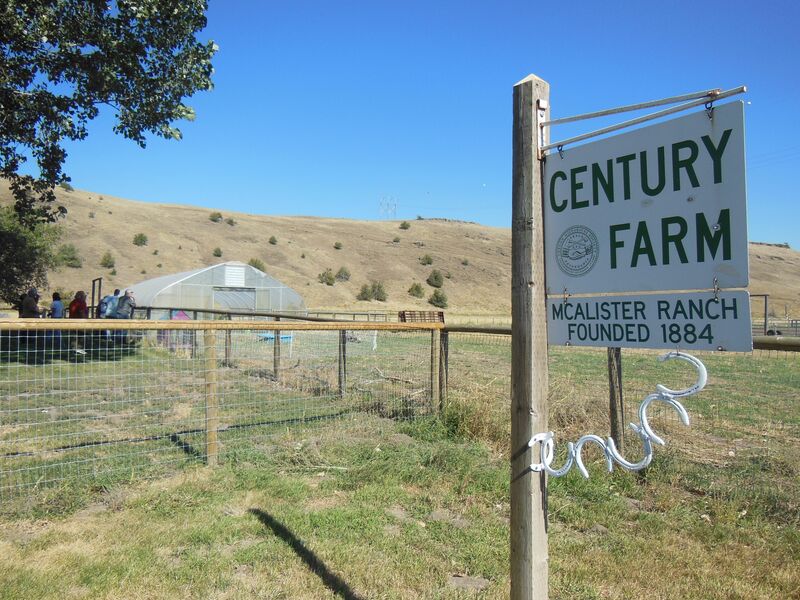 6 Ranch is a “Century Farm” that’s been in the family for over 125 years. Soon, and with bellies still bulging from our first of numerous impeccable meals on this trip, we headed to 6 Ranch—a “Century Farm (in the family for more than 100 years) where Corriente Cattle is king. Like their Hereford cousins, these cattle are also grass-fed, but these descendants of cows brought to the Americas by Spanish conquistadors are born to run (corriente can mean “running” and “common” in Spanish). 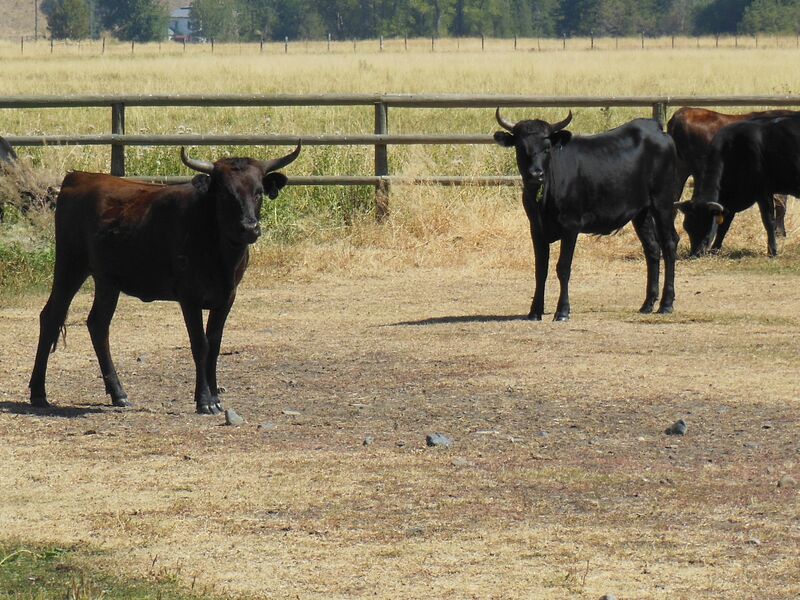 So, that’s what these common cattle do at 6 Ranch—run and run and run, resulting in an athletic and healthy bovine. Corriente Cattle are the slender athletes of the bovine world. Liza Jane of 6 Ranch is a real-deal cowgirl. 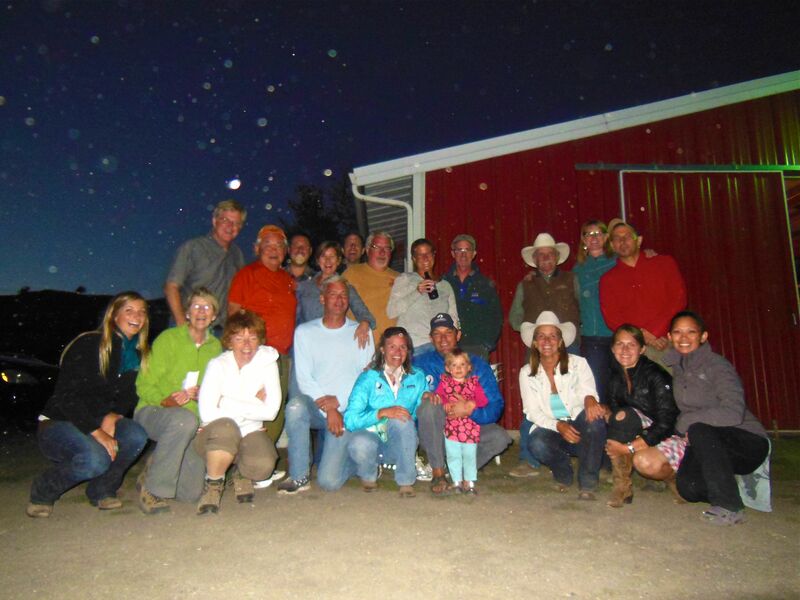 Liza Jane, her husband Craig (a former rodeo clown and lifelong cowboy), her daughter Adele, some horses, and a handful of border collies move the cattle around and give them quite the workout. Craig gave us a vivid demonstration of how he and his canine companions herd the cattle. As we gathered in a shady corner of a dusty corral, Craig, mounted on his trusty steed, waited as Liza Jane unlocked the gate that held back the cattle. One by one, they sauntered out like they owned the place. Once all of them had cleared the gate, it was on. At first the chase was playful. With energetic dogs on three sides of the herd, the cattle made their way along the perimeter of the corral, went behind and around a small barn, passed by us, and continued toward the far end of the enclosure. They were jogging more than they were running, and it was kind of cute how they seemed to humor Craig and the dogs. But then Craig had the dogs change direction and the cattle had to reverse their course. Slight confusion ensued as they made their way around the barn again. Not everyone was following the leader, and they seemed surprised to come face-to-face with their friends who were rounding the corner. Eventually, the cattle were herded into the smaller corral, and the process was started all over again. 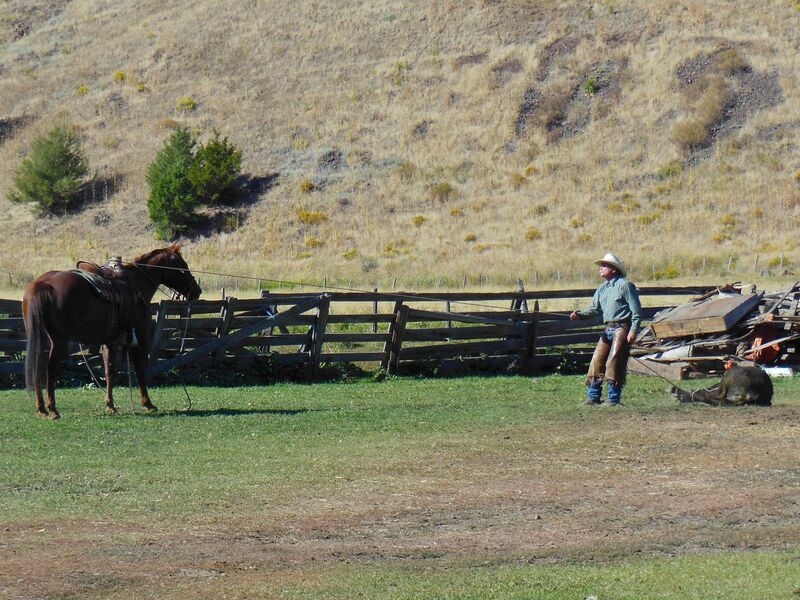 This time, Craig made the dogs make the cows cross a small stream and decided that he would show us his roping skills. I don’t know what happened or how they knew what Craig’s intentions were, but panic was definitely in the air. These black bovines got wild-eyed and started scrambling to get away from whatever was freaking them out. Around the barn they went, Craig circled the rope above his head, and whooshhhh! Swing and a miss. The cattle knew what was up. They wanted no part of this, so they ran even faster. The dogs chased them this way and that. Craig prepped his lasso once more to snag a bull by the legs, but to no avail. The bull narrowly escaped capture, and the cattle’s anxiety grew. They rounded the barn once more and came running right at us. For a second, none of us moved. I think we were in disbelief that these massive animals were really coming our way. But as the ground started to rumble and the dust clouds swirled higher, larger, and closer to us, we did our own swirling and started to scurry for an escape route or a fence to hop onto. In my mind I could see the headlines: City Slickers Trampled By Cows. Just then, one of the border collies cut off their path and diverted the stampede away from us. Sighs of relief, hearty chuckles, and even clapping filled the open air. There’s nothing like not being crushed by large animals to make people happy and thankful. The horse hold the line taut to prevent the bull from getting loose. But the show wasn’t over. Craig was still determined to rope himself a bull. Around the barn he went, with more than two dozen Corrientes to choose from. He spotted the one he wanted, swung his lasso high in the air, and BAM! Down went the bull! Caught by the hind leg, the beast tried to get up. Craig guided his horse to walk away from the bull, not only for safety, but to hold tension in the rope to prevent the bull from escaping. The horse held its position. Craig dismounted and approached the animal. He bound the back legs together and then bound the front legs together. The bull still struggled. He was pissed. Craig rock-a-bye-babies this bull until he’s nice and calm. Like a wise, country shaman, Craig told us, in a cowboy drawl, that he could make this ornery bull calm enough to just lie there and then calmly walk away. I didn’t quite believe him, but I had to see him try. He took the rope from the hind legs in one hand and grabbed the rope from the front ones with the other. Carefully, skillfully, as though he had done this hundreds of times before, Craig rock-a-bye-babied that bull into Happy Cow Land. The tension left its body. Its breath became steady and deep. Craig undid both of the ropes and the bull just lied there. For a full minute, that brawny beast stayed right where he was and you could hear nothing but a gentle breeze blow through that corral. None of us spoke. None of us moved. We just stood there in amazement. Then the bull quietly got up and walked over to his friends by the fence like nothing had happened. Like it was all a dream. “I want to do that,” I thought to myself. I want to rope a cow. Craig had elevated himself to legend status in my mind, and I wanted to learn from the master. Beef. It’s what’s for dinner. And so are potatoes, string beans with bacon, and mushrooms. Later, back at the stables, as we waited for Leather and Joe to artfully prepare our dinner of Caesar salad, Corriente beef, roasted potatoes, string beans with thick-cut bacon, mushrooms, and a peach cobbler (my mouth is watering as I type), we got the chance to learn to use a lasso and rope a calf. Not a real calf, of course, but a metal and plastic stand-in for a calf. 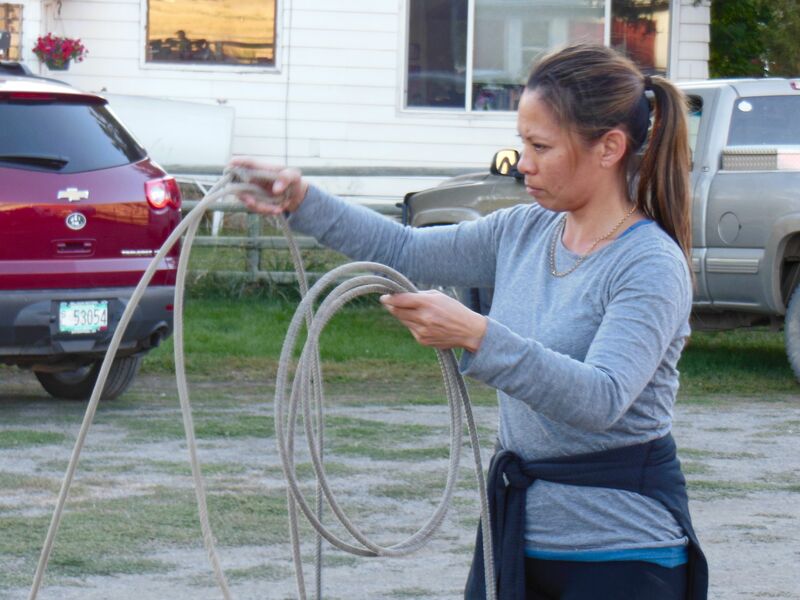 For me, learning to be a cowgirl and mastering lasso skills takes a lot of concentration and effort. I was determined to be successful. I hung onto every word Craig said. I watch how he held the coiled end of the rope, or lariat, in his left hand. His right hand grasped the honda, or loop, that would be aimed and thrown at the helpless fake calf. Big, equal-sized circles around his head he made with the lasso, arm raised to shoulder level, but never circling from the shoulder joint. Rather, the gesture originated from his elbow, and that gave him better control. I copied him move for move, step for step, circle for circle, but I couldn’t do it. I’d get close but it would somehow slip off the dummy and onto the ground. Not wanting to be a lasso hog, I let someone else try and waited for another turn. Even without a rope in my hand, I watched the teacher and the student intently and imitated their movements. Ugh, when was it going to be my turn again? I really wanted to get this. 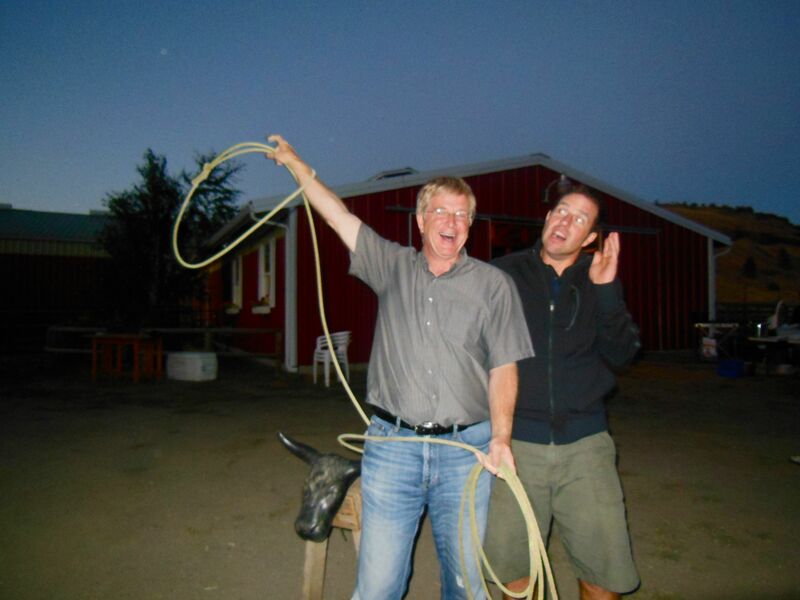 Rick and Leather get into the calf-roping spirit. My opportunity came again, and I listened once more to my cowboy professor. This time, I followed through with the release of the honda, extending my arm in direct aim at the sawhorse calf’s neck, and BAM! I got ‘em! 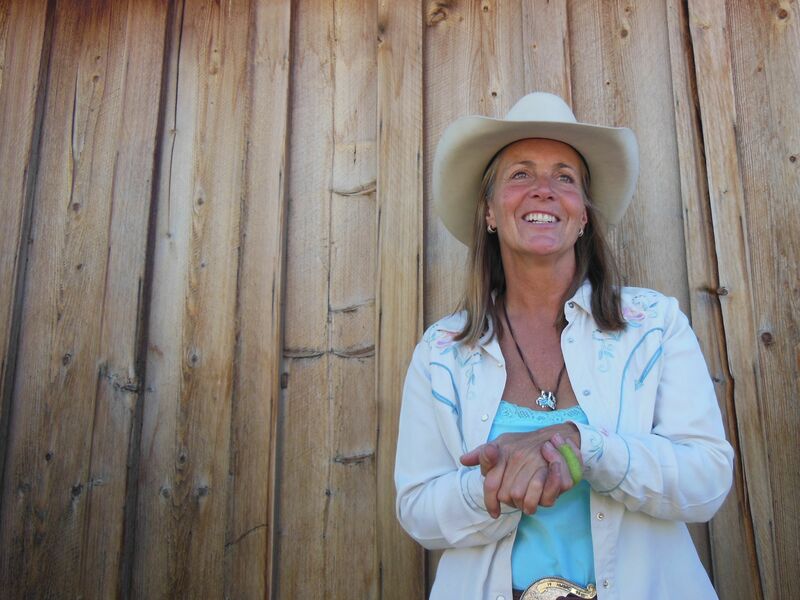 I wanted to hoot and holler, but I kept my ladylike cowgirl composure, felt a deep-from-within smile glide across my face, and stood tall with unanticipated pride. I walked to my captured calf like I had on spurs that jingle jangle jingle and benevolently set him free. I kept practicing, with varying degrees of success, until I built up my confidence to catch a live animal, a real hunk of beef. Thankfully, we got one of my practice shots and this actual capture on video. 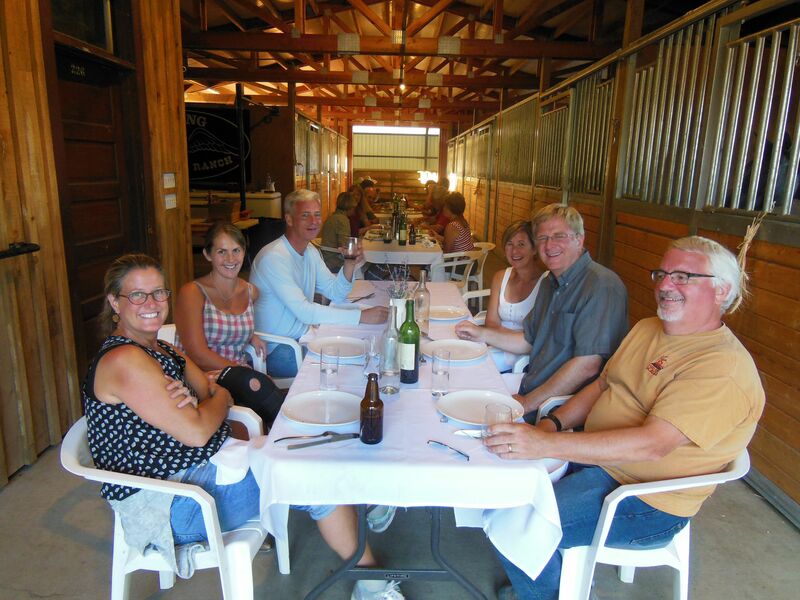 In a simple stable setting, we enjoyed great food, wonderful company, lively reflections of our day on the ranches, and anticipation for tomorrow’s adventures. Throughout the evening, we all discussed how thoroughly we enjoyed the day’s events and were eagerly anticipating the next day’s adventures. With our happiness still palpable and with stars burning bright under a wide Oregon sky, we captured the moment on film before we headed back to our B&B to get a good night’s rest. We happily survived a day on the ranch, but will we survive the roaring rapids of the Snake River? Previous Post Whitewater And Food? Yes, Please! 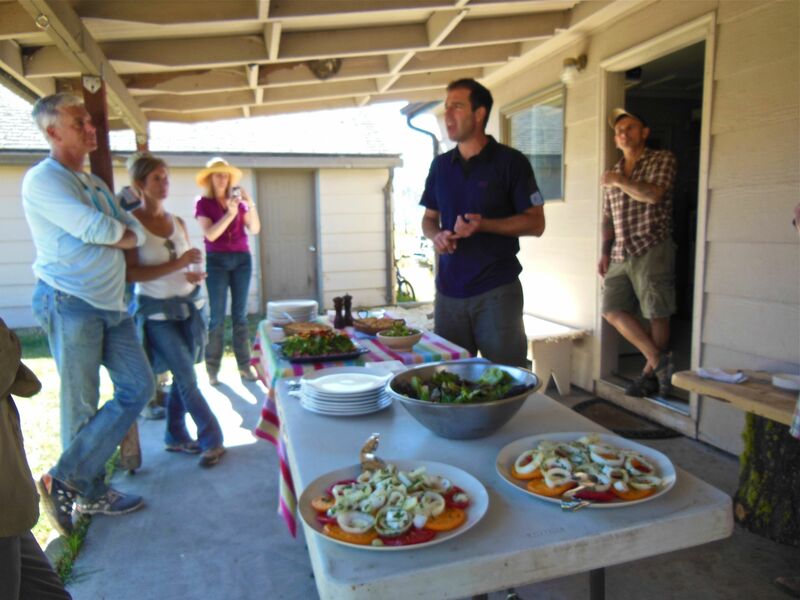 It is raining hard in Tacoma today, so remembering back to 4 fun filled days in sunny Joseph, OR makes my spirits soar. Thanks Trish for sharing your memories. It was a great trip and a wonderful adventure with a fabulously fun group of people. Lisa is making meat loaf tonight with some of the Corriente beef we purchased from 6 Ranch. If we just had some of Leather and Joseph’ mac & cheese, we would be feastiing for sure! Thanks, Stan & Lisa, for following the blog. More posts are coming up. I’m so envious that you guys are dining on 6 Ranch Corriente tonight. We have one package left, and I am dreading the day when there’ll be no more. I hope all is well with you both!